No. 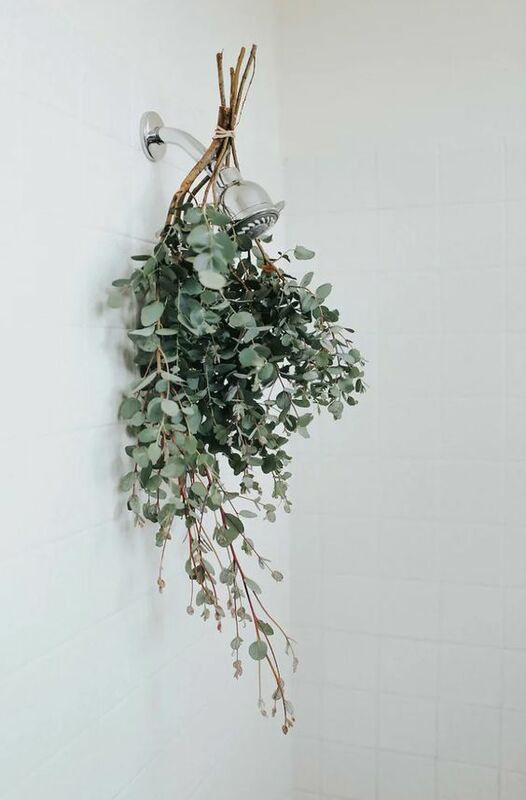 1 - Tie some sprigs of eucalyptus to your shower head. Get ready for a waterfall of stress relief and health benefits. As you may know, eucalyptus is commonly know for its ancient healing remedies. It has antibacterial and anti-fungal properties that can help with skin issues, as well as pain relief and soothing powers. Eucalyptus when inhaled, can be therapeutic to the respiratory system as well as the immune system. Perfect relief for those early springtime allergies and colds from the changing weather. No. 2 - Bring on the greens! (Again and again and again) Can you tell that we have some crazy plant ladies here in our midst at Root’d? We just can’t help it! Wash the stress and chaos of your day down the drain with come plant therapy. The color green relates to balance and harmony. From a color psychology perspective, it is the great balancer of the heart and the emotions, creating equilibrium between the head and the heart. 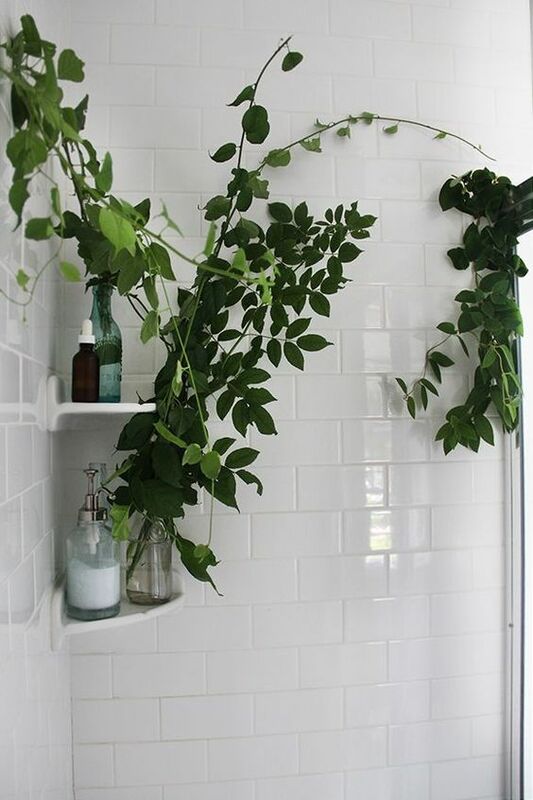 Common plants that do well in the wet and humid environment of your shower are: bamboo, dieffenbachia, dracaena and pothos. Many moist loving plants double as excellent air purifying plants as well - win, win! No. 3 - Bring the inside, out! Not all of us can be as lucky to have a private spa in our backyard but with a little elbow grease you could have something close to it. Now I know this isn’t a “simple trick” but I’ve been reading up on “earthing” recently and now I just want to do everything barefoot, outside this summer. Earthing, or grounding, is when your bare feet or skin comes in contact with the earth and free electrons are taken up into the body. These electrons are said to be nature’s biggest antioxidants! They help neutralize damaging free radicals in the body that can lead to inflammation and disease. Since our bodies are composed of mostly of water and minerals, when the skin comes in direct contact with the earth there is another conductive channel for them to flow through. Do you have a water spicket that you could transform into an outdoor shower this summer? DO IT. 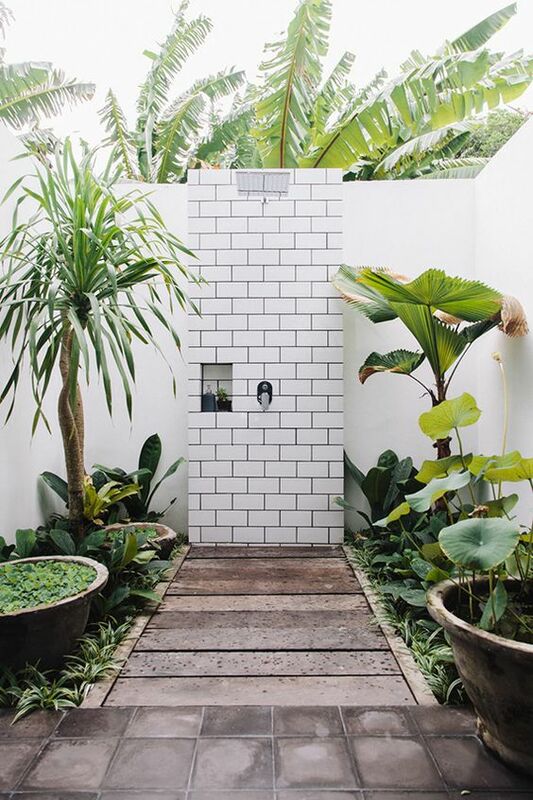 Can you imagine how relaxing and grounding showering outside in the sun each morning could be? Ah, I can just feel the stress melt away already.